We invite you, the artists, creators, builders, and developers of all kinds – multi-media magicians, creative technologists, innovative visionaries – to join us in the creation of a truly unique and immersive art piece. Use your imagination, experience and knowledge to conjure up a ambitious immersive art concept for the theme “Memories of the Future” with the musical score created by world-renowned composer Esa-Pekka Salonen and story challenge by award-winning musical artist and dramaturge Paula Vesala. Once shortlisted you’ll get a chance to develop your vision with Salonen, Vesala and our mentors, a team of leading industry specialists, and pitch your idea to an international jury in Helsinki, Finland. The winner will have their concept produced and exhibited in collaboration with the Finnish National Opera and Ballet. The deadline for entries closes on April 23rd, finalists will be invited to pitch at First Session, May 29th-31st 2019 in Helsinki. Create possibilities, break boundaries, envisage the unimaginable. Propose a creative, immersive concept to be the Finnish National Opera & Ballet’s new art piece. The working title is ‘Memories of Future’. Your concept should capture the theme, connect or complement the supplied musical score by Esa-Pekka Salonen, and embrace the story fragments by Paula Vesala. It can utilise any immersive technologies and techniques you (and your team) envisage. Your proposed concept should embrace the spirit of performing arts, music, and most importantly opera and ballet. It can be a work in progress. It is recommended to build a team to be able to fulfill the project. You’ll find the entry form here. For more information please see the Terms and FAQ. The deadline for entries closes on April 23rd at 23:59 (EET). Vesala is a multi-platinum selling, diverse musician who is recognized for her skills in creating tangible stories and universes through words and dynamic performance. Esa-Pekka Salonen’s restless innovation drives him constantly to reposition classical music in the 21st century. Galit Ariel is the author of ‘Augmenting Alice – The Future of Identity, Experience and Reality’, a notable keynote speaker and thought-leader in the field of immersive interaction. 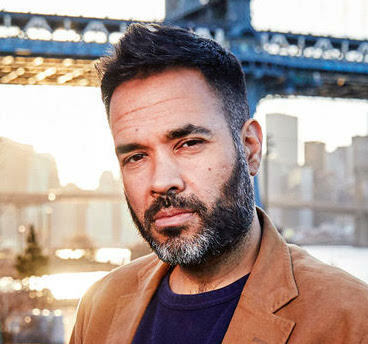 Gabo Arora is an award-winning immersive artist, filmmaker and Founder/Creative Director of LightShed, a storytelling, technology and research studio collaborating with the industry’s leading creative pioneers and entrepreneurs focused exclusively on emerging technologies currently known as VR, AR and AI. Domhnaill Hernon is the Head of Experiments in Art and Technology at Nokia Bells Labs, world renowned industrial research center. Sarah Ellis is an award winning producer currently exploring new artistic initiatives as Director of Digital Development for the Royal Shakespeare Company (RSC). She has been listed in the top 100 most influential people working in Gaming and Technology by The Hospital Club and Guardian Culture Professionals. › Apply now for Opera Beyond! Design a concept for an original immersive art work and submit your proposal via the application form. You’ll briefly describe the design for the piece, give a simple overview of the tools, technology and materials used to create it, and how you intend the audience to experience it. You’ll find the entry form here. The Opera Beyond judging panel will announce the shortlist, and the finalists’ profiles will feature on the website. We have a team of specialist advisors ready to assist you with feedback, and how to develop your art concept to best fit the brief and creative elements set by the Finnish National Opera and Ballet – in preparation for the First Session. Finalists will be invited to the Finnish National Opera in Helsinki for an intensive two-and-a-half-day event of idea conceptualisation and finalisation. You will have a chance to expand and refine your idea through mentoring sessions in fields of technology, storytelling, production, and musical score; and you can elucidate a more detailed design. The event culminates with a live pitch of your immersive art piece on stage at the First Session conference, Finnish National Opera, May 31st 2019. Overview. Teams may submit their Entry for an immersive art piece competition to be produced by Finnish National Opera and Ballet (FNOB) in collaboration with the winning Team. FNOB will judge all eligible Entries and select finalist to participate to First Session event, where the winning concept is selected. The teams participating in the competition need to agree to the terms below. Time period. The Submission period ends on April 23rd, 2019 at 23:59 (EET) and the Teams are notified on the outcome. Selected teams are invited to participate in First Session in Helsinki, Finland, May 29th – 31st, 2019. The actual production of the work has to be finished during the year 2020. Entry Eligibility. An Entry will be eligible if it is: a. completed in its entirety in accordance with the applicable instructions (e.g. Admission criteria), b. submitted during the Submission period, c. in the English language, d. the applicants original work (The team must have permission and rights to all Third Party content, which can be granted to FNOB), and e. the concept can’t be a pre-existing, published, or publicly exhibited unless a distinction can be made by amendments and tailoring to fit the brief. Entry Ownership. As between Team and FNOB, the Team shall own all right, title, and interest in and to all Entry content submitted by Team. FNOB takes no responsibility and assumes no liability for any Entry content submitted by you or any a third party. Prizes. The main price of the competition is a 75.000€ production contract with FNOB to implement and publish your concept. Another 10.000€ of Prize money will be allocated among teams that have made valuable contributions at First Session. Teams who accept the prize will be responsible for all applicable taxes related to that prize. FNOB will own all the rights of the winning concept after the Team has signed the production contract, but in cases of e.g. earlier developed technology IPRs are negotiable. The FNOB retains rights to final artistic decisions in the project. Please see FAQ for further questions. › Submit your concept to Opera Beyond! Richard Slaney is the Managing Director of 59 Productions, leading projects for the company as a Project Director alongside acting as Executive Producer for larger scale works. In summer 2018, Richard created and directed Five Telegrams, a unique collaboration with composer Anna Meredith, to open the BBC Proms and the Edinburgh International Festival. Five Telegrams was Richard’s second collaboration with the BBC Proms after the 2016 projection-mapping film, Cello with Elgar’s Cello Concerto in E minor. In March 2018, Richard created and directed Array for the Barbican and City of London’s Culture Mile, transforming the Beech Street tunnel into a vast canvas for a newly-commissioned animated digital artwork inspired by Esa-Pekka Salonen’s contemporary classical masterpiece, Karawane, allowing audiences to explore the work aurally, visually and spatially. In 2016, Richard led the team creating a spectacular event to mark the centenary of the Boeing Company. This once-in-a-lifetime event was the first of its kind: theatre with aeroplanes, featuring animated sequences projection-mapped onto moving aircraft. Projects as a producer also include Lighting the Sails of the Sydney Opera House, Deep Time for Edinburgh International Festival and the Digital Revolution exhibition for the Barbican Centre. A music graduate, Richard has a strong interest in using technology to allow audiences new perspectives on classical music and music making, and much of his work for 59 Productions has focused on this area. Before joining 59 Productions, Richard was the Head of Digital for the Philharmonia Orchestra (London) establishing and leading the Orchestra’s critically acclaimed Digital Department, creating innovative exhibitions, films, live performances and apps. Tanja Bastamow is a digital artist specializing in virtual scenography. Bastamow's key areas of interest are immersive virtual environments, how new technology affects visual storytelling, combining live performance with real-time virtual elements and finding new visual styles in digital expression. She has been working as a freelancer in virtual set design, animation and post production for audiovisual media, new media technologies and experimental games since 2000. 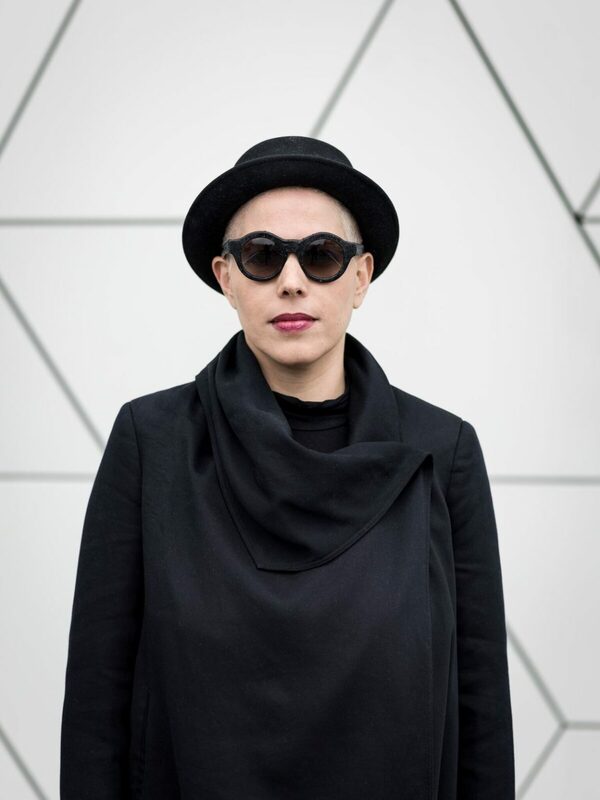 In addition to this, she has previously held the position of lecturer in digital design methods at Aalto University's Department of Film, Television and Scenography. She is currently undertaking her PhD, doing artistic research on real-time virtual scenography at Aalto University. Tech Futurist and Immersive Experience Consultant. Galit Ariel is the author of 'Augmenting Alice - The Future of Identity, Experience and Reality', a notable keynote speaker and thought-leader in the field of immersive interaction. Galit Ariel is a transdisciplinary creative and strategic thinker. She defines herself as a ‘Digital Hippie’, since she is passionate about a future that will integrate technology into our everyday lives, but not control it. As a thought leader in Augmented Reality, Galit explores the wild and imaginative side of immersive technologies, but also their impact on our everyday lives and culture. She is a notable speaker that appears in international conferences (including TED and Slush Tokyo), as well as a leading consultant and mentor for agencies, brands, institutions and think tanks. Her book ‘Augmenting Alice - The Future of Identity, Experience and Reality’ explores the manner in which Augmented Reality implementation will redefine core concepts within the human experience, contributing to changed perceptions of reality, culture, space, identity, and ethics. Sarah Brin is a creative producer specializing in play, new media, and accessibility. 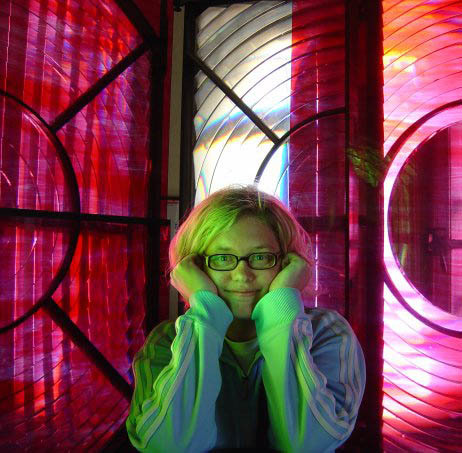 She currently works as the Digital Storytelling Program Manager at Meow Wolf. Meow Wolf creates immersive and interactive experiences that transport audiences of all ages into fantastic realms of story and exploration. This includes art installations, video and music production, and extended reality content. Their first permanent installation, the THEA Award-winning House of Eternal Return, launched in March 2016 with support from Game of Thrones creator, George R.R. Martin. Inside the venue, based is Santa Fe, New Mexico, guests discover a multidimensional mystery house with secret passages, portals to magical worlds, and an expansive narrative amidst surreal, maximalist, and mesmerizing art exhibits. Before joining Meow Wolf, Sarah has developed programs, exhibitions, and publications for more traditional arts institutions including the Hammer Museum, British Arts Council, the Museum of Contemporary Art Los Angeles, the MAK Center for Art and Architecture and elsewhere. Sarah specializes in organizational development and the implementation of new initiatives and technologies within arts organizations. Some of her prior projects include supporting the development of PlaySFMOMA, the artists in residence program at the Pier 9 Workshop, and an EU research grant focused on playful museum experiences. during his studies of classical guitar, visual arts and music composition, Mathis began to experiment with film and sound and since then has combined these elements with live theatre and opera. During the recent years, he added programming to his toolbox to be able to work on interactive projects by himself. in which central questions of post-humanity have been discussed. In the ruins of the heating plant Munich-Aubing, Nitschke created a virtual cosmos parallel to the real world, on the basis of sound, music, augmented reality technology and digital art, in which the audience could move freely. Gabo is an award-winning immersive artist, filmmaker and Founder/Creative Director of LightShed, a storytelling, technology and research studio collaborating with the industry’s leading creative pioneers and entrepreneurs focused exclusively on emerging technologies currently known as VR, AR and AI. He is also a professor at Johns Hopkins University, where he designed, leads and is the Founding Director of the new Immersive Storytelling and Emerging Technologies (ISET) program and lab. Formerly, he was a Senior Economic Policy Advisor for Secretary General Ban Ki-moon; a UN diplomat with extensive field experience in disaster and conflict zones; and the United Nations' first-ever Creative Director where he founded UNVR - a division of the UN focused on virtual reality initiatives and campaigns. The output of Gabo’s VR films raised over $1 billion in increased aid for refugees. His VR film Clouds Over Sidra, in partnership with UNICEF, continues to double direct to consumer fundraising contributions from 1:12 to 1:6. Sidra is distributed in 40 countries in 15 different languages and is the most widely distributed and viewed social impact VR film globally. A native New Yorker, Gabo also holds honors degrees with distinction from NYU and Johns Hopkins University. His mother tongue is Punjabi, he is fluent in Hindi/Urdu, French, Italian and Spanish. He is a Davos World Economic Forum Arts and Cultural leader and was nominated for a term-membership at the Council on Foreign Relations by Francis Fukuyama. His work is in the permanent collection of the Museum of Modern Art, nominated for an Emmy, awarded a Cannes Lions, a Sheffield Doc/Fest award for best documentary, a Lumière Award, two Webbys, and has been featured in the New Yorker, BBC world service, the British Film Institute's Sight and Sound magazine, Fast Company, New York Times and covered widely in the Guardian, Vice News, Wired, TED, NPR and PBS Newshour. Gabo’s VR experience, “Zikr: A Sufi Revival”, World Premiered at the Sundance Film Festival 2018, with Newsweek calling it “the most transcendental experience of the festival” and was the first-ever VR documentary to be sold and acquired (by Dogwoof) in Sundance’s history. Head of Experiments in Art and Technology at Nokia Bells Labs. 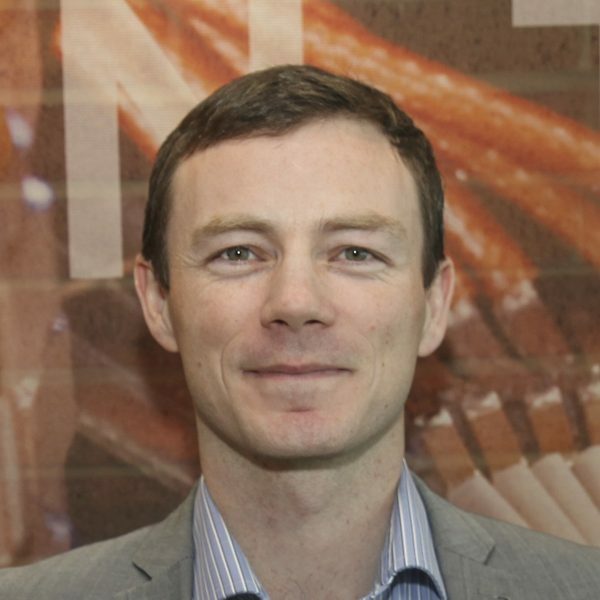 Domhnaill Hernon is Head of Experiments in Arts and Technology (E.A.T.) at Nokia Bell Labs. He graduated with a B.Eng in Aeronautical Engineering, a Ph.D in fundamental fluid mechanics from the University of Limerick and an Executive M.B.A. from Dublin City University, Ireland. He is passionate about turning research/ideas into reality and exploring the bounds of creativity to push the limits of technology. Domhnaill was previously responsible for turning Bell Labs disruptive research assets into proto-solutions that could be tested at scale in the market and he established new methods to overcome the “Innovation Valley of Death”. He is currently responsible for Bell Labs global activities in E.A.T. where he collaborates with the artistic/creative community to push the limits of technology to solve the greatest human need challenges. Sarah Ellis is an award winning producer exploring new artistic initiatives. Sarah Ellis is an award winning producer currently exploring new artistic initiatives as Director of Digital Development for the Royal Shakespeare Company (RSC). She has been listed in the top 100 most influential people working in Gaming and Technology by The Hospital Club and Guardian Culture Professionals. During her time RSC she has continued exploration into the future of theater innovation in collaborations with tech giants like Google, Magic Leap and Intel. Sarah is an advocate for a people-centric approach whilst pushing the boundaries of theater. For example in the Tempest with Intel the experience didn’t rely on pre-recorded footage, but instead turned live performance into a digital presentation by using real-time motion and facial capture for the very first time in history. At her work Sarah is continuously searching for new ways to amplify live experiences digitally. She and the RSC publish their explorations and lessons learned to encourage other cultural institutions to follow their footsteps. Vesala is one of Finland's most popular musical artists today. She is a multi-platinum selling, diverse musician who is recognized for her skills in creating tangible stories and universes through words, notes and dynamic performance. In addition to her own repertoire, the singer-songwriter has composed songs and written lyrics for countless other musical artists. By the same token, she has expanded her award-winning creative career as a playwright, dramaturge, film and voice actor as well as documentary director. She has acted major roles in award-winning films such as Little Wing (Nordic Council Film Prize) and Unknown Soldier. Vesala has studied music pedagogy at Sibelius Academy, dramaturgy at the Theatre Academy of Finland and playwriting at University of California. Paula Vesala continues her solo career under the artist name “Vesala” and keeps on bringing her talent into new striking cross-disciplinary art projects. 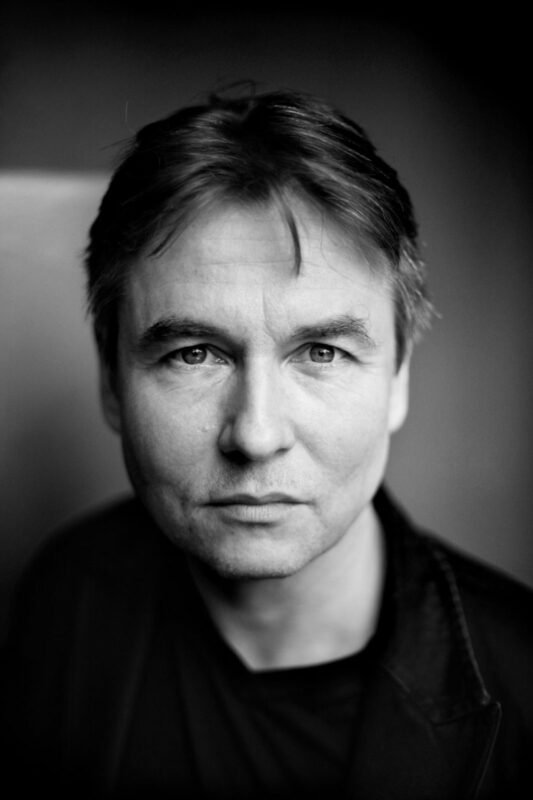 Esa—Pekka Salonen is a Finnish orchestral conductor and composer. Esa-Pekka Salonen’s restless innovation drives him constantly to reposition classical music in the 21st century. In 2020, he will become the Music Director of the San Francisco Symphony. He is the Principal Conductor and Artistic Advisor for London’s Philharmonia Orchestra, where the award-winning RE-RITE and Universe of Sound installations have allowed people all over the world to step inside the orchestra through audio and video projections. Salonen also drove the development of a much-hailed app for iPad, The Orchestra, which gives the user unprecedented access to the internal workings of eight symphonic works. As the Music Director of the Los Angeles Philharmonic, where he is now Conductor Laureate, Salonen was instrumental in opening the Frank Gehry-designed Walt Disney Concert Hall and made the orchestra one of the best attended and funded in the country. He is the Artist in Association at the Finnish National Opera and Ballet, and the cofounder of the annual Baltic Sea Festival. In 2015 he addressed the Apple Distinguished Educator conference on the uses of technology in music education, and his Violin Concerto was featured in an international campaign for iPad.